Have you actually tried loading any pdf files that may be subject to copyright? Do they work? Were you able to read them? The Bebook is definitely the way to go with e-book readers. It supports a number of formats and is easy to use. 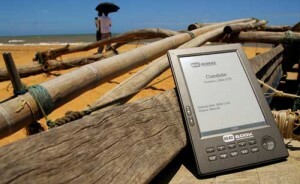 A word of caution though for e-readers in general the screen is extremely sensitive. I’ve only had mine ~ 6 weeks and the screen has fragmented so its now unusable. I was taking good care of it too! Endless ideas says that this is not covered by the warranty despite them claiming they offer a ‘full 1 year warranty….which covers normal use’. Hopefully someone is working on producing a more robust screen. I can’t afford to get mine repaired particularly if it is going to break even when being treated with kid gloves! I like the concept but clearly more work needs to be done. I have a disabled daughter who finds it difficult to hold a book and turn the pages with ease. I think that this could help in her enjoying books more ,the only problem we have in buying on buying one is shops are reluctant to open the packageing ? So we are looking at the different models on the market via the packages. this is a good product. I have had one for a couple of months,but bought it from Pixelar.co.uk,who sell it under their own brand. We are interested in purchasing an ebook , but are unable to find a supplier in Queensland Australia . As a scientist i frequently download journals to read or resarch in PDF format. This is normally 8.5 x 11 inch format. Out of the Bebook, Bookeen and Sony devices which one enables you to read these articles with the least amount of drama resizing etc?? Your tips advice would be appreciated. This device looks great. I have the kindle 2 and I love it, but I might give this a try. it seems to be a great product, thanks for the review. Does anyone have any more comments about Ann’s review, copied below? I find this a little worrying as I’m thinking of buying this item, however, this comment does put me off. A word of caution though for e-readers in general the screen is extremely sensitive. I’ve only had mine ~ 6 weeks and the screen has fragmented so its now unusable. I think you could mention how easily the screen ‘breaks’ (dreaded barcodes) and how much it costs to replace one. Mine had hardly been used before the screen broke – no knocks, bumps or drops – it was so new to me that I was taking GREAT care with it. 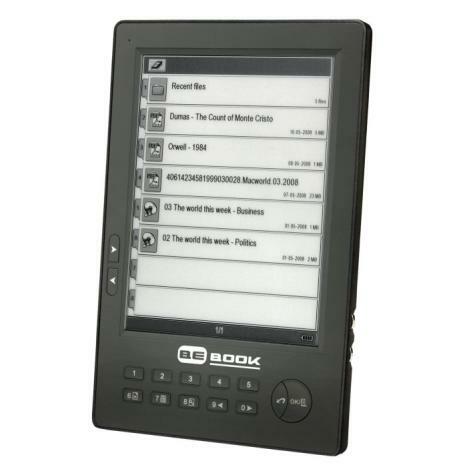 I am just waiting until I’ve saved enough to replace the screen, and then I’ll have almost enough to buy a new e-reader. Hmmmm. Tough choice. does anyone have a response to Nathan’s question (7)? It’s precisely what’s on my mind as well. I want to purchase this, but will wait till the screen is improved and the cost comes down. Nathan, I had a Sony PRS 505 but got totally fed up with it because of the way re-formatting in order to get a bigger text size broke up the whole presentation, and turned it into extra pages, some containing only one or two words. The resulting navigation was a nightmare where page numbers became meaningless, and sometimes sent me right back to the beginning. And this was happening with full-priced downloaded books, including best sellers. I think the problem is the original formatting of the text, where the return key is often used to end a line instead of being reserved for paragraphs. I would guess that the answer to your question is that if the original text has been formatted correctly, then it should re-format without problems. Embedded diagrams and graphics? No idea. My reader did not have sideways scrolling. The e-Book Reader text-size adjustment feature is a great idea, but there is no accompanying facility for providing correct text re-formatting and page numbering. I am not inclined to buy another until the problem has been solved. Broken screen after 6 weeks, a nightmare. Could have bought two Kindles for the price of a Bebook.